Here at Phone Ninja Perth, we are your Apple iPhone SE repair specialists. We stock and specialize in all repairs to do with the phone, including iPhone SE screen replacements. We use only the highest-quality parts available, and many of our repairs are while-you-wait, saving you time. No matter which of our stores you visit across Perth, we offer the most affordable prices, including our price-beat guarantee, find a cheaper price and we’ll beat it. With over 7 years experience, and 25,000 repairs in Perth alone, we know a thing or two about repairing your device. While iPhone 5SE screen repairs comprise a large percentage of the repair work we do, we also replace batteries, charger ports, ear speakers, microphones, and much more. Our stores are right across Perth, Western Australia so we are never too far away. So, if you need a iPhone SE repair, simply give Phone Ninja a call, or bring your device directly into one of our stores! 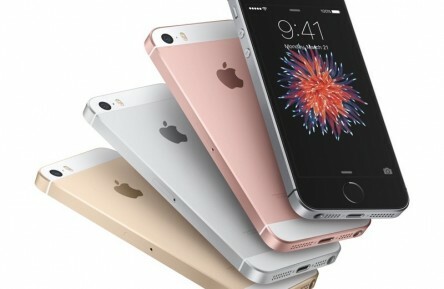 Apple has now released the new iPhone SE to replace the iPhone 5S. The familiar look and size of the new SE will be comforting to people that did not want to upgrade to a bigger iPhone 6. Instead we get flagship speed in a smaller package. With the iPhone SE you get the new A9 chip used in the iPhone 6S along with an impressive 2GB ram. The 5SE also upgrades the rear camera to 12MP enabling 4K video. Apple also updated the SE with all the latest WI-FI and 4G connections to keep things fast. Apple have also now fully incorporated the Apple Pay system into the new iPhone SE meaning that the fingerprint reader is now for more than just putting your password into your iPhone. Apple Pay also enables you to pay easily in new online shopping apps by pressing your finger on fingerprint reader to authorize the payment. As with any phone there is always a chance that the screen can be broken, but do not fear Phone Ninja are here to sort that out for you in no time. Whatever the issue, be it a broken screen or a bad front camera, give our iPhone SE Repair Ninjas a call and have it fixed lightning quick.